Okowa expressed confidence in the capacity of the committee members, assuring party members of a free and fair convention. 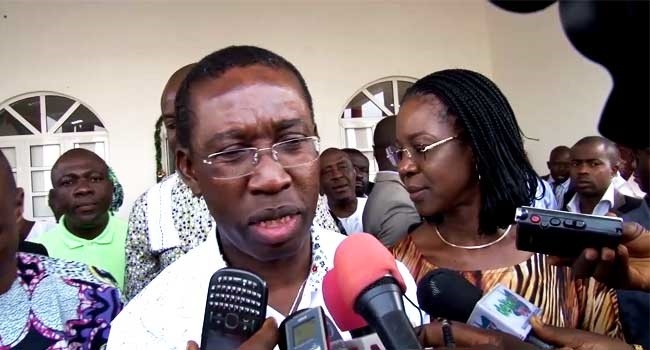 Delta State governor Ifeanyi Okowa has been appointed head of the newly inaugurated National Planning Committee to conduct the December 9, 2017 national convention of the Peoples Democratic Party. Inaugurated on Monday in Abuja, the committee will take full charge of the convention and ensure the process is free, fair and not hijacked by any individual or group. Chairman, National Caretaker Committee of the party, Sen. Ahmed Makarfi called for support for the committee, and urged members of the party to cooperate with the members to build a stronger PDP. Responding, Chairman of the convention committee, Okowa, appreciated the party for the confidence vested in the committee. He said that the convention was only four days away and that there were lots to be done. The PDP National Convention will hold on Saturday in Abuja.